This link takes you to Ovetta Wiggins, the Washington Post reporter who exposed the story of Maryland Delegate Mary Ann Lisanti using a racial slur to refer to residents of Prince George’s County. Perhaps you’ll want to give her a follow on Twitter. This link takes you to an article by Luke Broadwater and Pamela Wood in the Baltimore Sun about where things stand on this issue right now. This link takes you to a Change.org petition calling for Lisanti to resign. Using the word that she used disqualifies her from public service. Regardless of her stage of inebriation, that word would not come out of her mouth if it hadn’t already been in her head and in relatively common usage. It shows that she does not view all constituents equally. Period. And now her constituents know it. And the citizens of the State of Maryland know it. And if we do nothing we might as well endorse racial slurs ourselves. We must not be silent. I read the news a bit wistfully: the old Durgin-Park Restaurant was no more. Back when I was in high school and our class visited Boston on the American History trip, a visit to Durgin-Park was a must. They were known for classic New England dishes and for their waitresses who were, to be blunt, rude. That’s right, people flocked to Durgin-Park to be insulted by the waitresses. They wouldn’t bring you dessert unless you cleaned your plate and, even then, might give you the once-over and ask if you really needed it. And people just adored it. Somehow there was a market for humiliating people in a social setting. Durgin-Park was the best of the best. Now it’s gone. So, too, is the humor of comedian Don Rickles who made quite a successful career out of insulting people. Whatever will we do without them? Don’t fret, though. I’ve found a local joint where you can go to get insulted and it won’t cost you a cent. No cover charge, no tipping a surly waitress. Just pure, unadulterated disrespect. Here’s what you need to do. Just go to the Facebook page for the Comptroller of the State of Maryland and disagree with one of his views. It’s that simple. One differing opinion is all it takes and you will receive prompt attention. The Comptroller’s social media staff will spring into action and put you in your place. Even better, they’ll even throw in a patronizing tone, gaslighting, and general, all-purpose sexism absolutely free! If you want the deluxe, VIP (Very Insulting Package) just persist in defending your point of view beyond a sentence or two. As if by magic, two of the Comptroller’s staff will appear and play with you like a cat plays with a small rodent. They certainly spare no expense at demeaning the taxpayer over there. If you stick around you can see the two of them practically high-five eachother after each cringe-worthy encounter. Ordinary social media accounts for ordinary elected officials have it all wrong. They try to be respectful, entertain the views of supporters and detractors alike, and take the high road when things get unpleasant. But what kind of fun is that? Don’t you just get a rush seeing guys tell it like it is with no filter and no consequences? Isn’t it exhilarating? If I were you I’d pay a visit to this establishment before it goes the way of the old Durgin-Park. This kind of good, old-fashioned fun just can’t last forever. I have a drying rack that I use for those items that shouldn’t go in the clothes dryer. The last time I took it out I noticed that one of the joints/hinges is just not right. It won’t open all the way, so the entire rack doesn’t open and sit properly anymore. My husband and I both fooled with it to see what the matter was but: no dice. What great timing! I wonder if they can fix my poor drying rack? 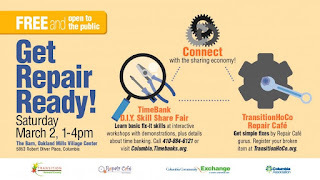 This all takes place at the Other Barn in Oakland Mills this Saturday from 1-4 pm. Not only does it sound like there’s lots to learn, but I think it would be a great opportunity to learn more about Time Banking and Transition Howard County. And you might discover that you have a skill that can help somebody else. FYI: If you have something you’d like to have repaired, pre-register it here. 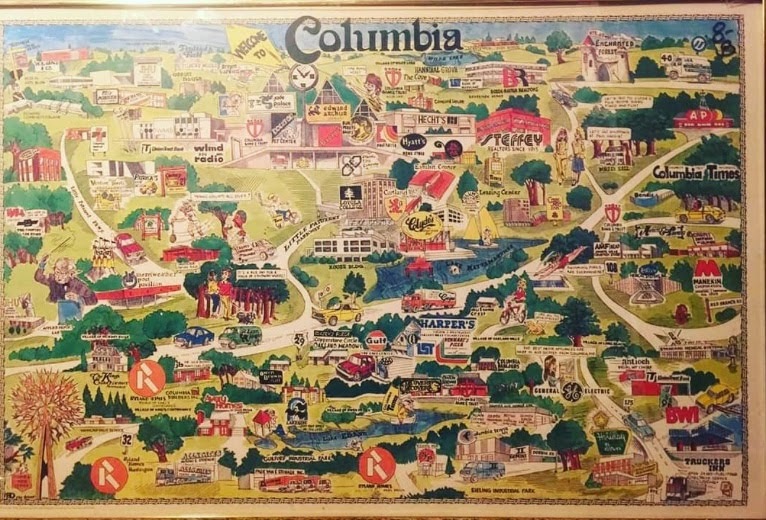 You may have seen that the Columbia Association is proposing a change in status, through state legislation, from an HOA to a Community Benefit Association. What does that mean, exactly? CA should never have been a homeowners association. It is so much more than a homeowners association and quite frankly a lot of the random bills regarding homeowners associations really shouldn't apply to CA or, for that matter, the villages. CA spends a fortune in lobbyist fees to exempt CA from these regulations. It seems to me that, in this context, CA is moving to correct its status to one that fits better with who they are. An important note: this legislation applies to CA itself. 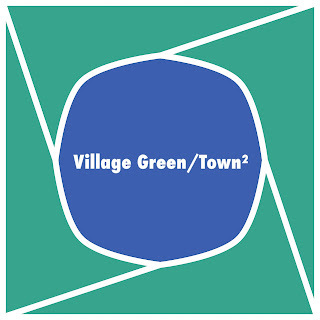 The Villages will need to make their own decisions on this change. The Columbia community is invited to learn more about the proposal at an information session on Tuesday, March 5 from 7-8:30pm at Wilde Lake Interfaith Center, 10431 Twin Rivers Road. There will also be a CA Board of Directors meeting on Thursday, February 28and a CA Board of Directors work session on Thursday, March 14. In the mean time, I have some work to do in learning about Community Benefit Associations. CA appears to want to get this accomplished during the current legislative session, so I guess we need to put this one on the front burner. MDGA2019 has already passed the halfway point. All in all, I don’t find this announcement something to fear or get angry about. I do think it’s important to learn more and get a good handle on what this would mean going forward. One of the local notables I follow on Twitter is Matthew Winner, a librarian/media specialist in the Howard County Public Schools. In addition to his day job, Mr. Winner hosts a podcast about children’s books and maintains an active social media presence. Yesterday I noticed a discussion in his feed about Dr, Seuss. It starts here. Now, you may have already known about this; I hadn’t. But as I read it I knew it to be true. Dr. Seuss books are completely centered in whiteness and view anything that differs from this norm as exotic, humorous, less competent, sometimes malevolent. He has a history of wearing blackface in minstrel show activities, and, try this on for size: there are absolutely no girls of color in any of his books. The Power of a Girl with a Book. I was happy to hear from reader Sarah Russo, herself a school librarian/media specialist, that Read Across America has moved away from centering the works of Dr. Seuss in their literacy celebrations. But individual school systems may still be using that old tried and true Dr. Seuss framework. Havana Chapman-Edwards’ school in Virginia is. She’s trying to get them to make a better choice that takes into account all of their students. I highly recommend that you read A Critical Race Reading of Dr. Seuss and watch The Power Of a Girl with a Book. Once you do I think you’ll understand why Ms. Chapman-Edwards is advocating for a whole lot less Dr. Seuss and an intentional increase of Black Girl Magic. I came across something on Twitter this morning that stunned me yet somehow didn’t surprise me. It’s about Dr. Seuss. You may think that Dr. Seuss doesn’t have a local connection, but if you’ve ever had a child in a local school you know that Dr. Seuss is on the menu annually. More about that tomorrow. Here’s a piece I wrote for Columbia Patch in 2013. I was surprised to see you can still find it. I suppose this qualifies as my very first Benign Unpopular Opinion. Cat in the Hat? No, Thanks! I hate Dr. Seuss. No, I don't. I dislike the work of Dr. Seuss. I hate the Cat in the Hat. It is easy to get confused since Dr. Seuss' birthday, Read across America Day, and the Cat in the Hat character have been fused into one giant educommercial-edutainment complex. I taught Preschool, I taught Kindergarten, I have two children, and I hate the Cat in the Hat. I hated it when I was little, and I still do. Let's look at it from a child's point of view: a smiling stranger gets into your house, takes complete control and you are helpless. Powerless. And you are supposed to like it. Although it doesn't really matter if you do or not. And, from an adult's point of view: two parents leave their children unsupervised for an indefinite amount of time. The children allow a stranger to come in the house, who smilingly, charmingly, takes complete control. In the process he very nearly kills the only character who passes for parental stability--the fish. In fact, the fish really stands for the voice of their Better Judgement, doesn't he? Am I the only one who sees child abuse written all over this? Horton Hears A Who is a vivid and painful account of torment, mockery, bullying. Of hearing and believing an inner truth but being disbelieved. Horton is good, kind, helpful. And helpless. As a child I cried when the tiny Who folk cried out, "We are here! We are here!" I still do. The happy ending in no way makes up for the abuse, to my mind. Now, it is true that I was very shy as a child, and that I was seeking a safe, comforting world view. The illustrations of Eloise Wilkin in My Little Golden Books were restful to me. The Doctor Seuss books always felt ugly and threatening. The additional insult was that everyone said that children just *loved* them. Theodore Geisel had a great facility for word play. He was given the task of writing vocabulary-controlled readers. He did what he did very well. But let us not confuse that with a deep love for or compassionate understanding of children. Let us not make of his work our only blueprint for a religion of childhood reading. Then I'm glad that you like it. Insult you? I won't. No, absolutely not. There’s no way I’d drink two gin and tonics on a school night. Well, alright. Yes, yes I did. And before all that lovely joie de vivre wears off I’m going to write a blog post. Motivation tomorrow morning may be nil. If you know me well, you’ll know I was there for this week’s taping of Elevate Maryland. This particular episode was the second in what I hope will be an ongoing History Makers series. 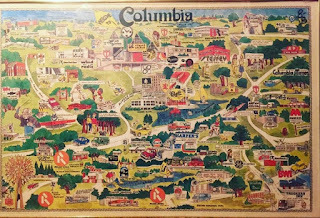 I do think we are making a lot of history these days in Columbia/HoCo, and not just of the political variety. So, stay tuned. 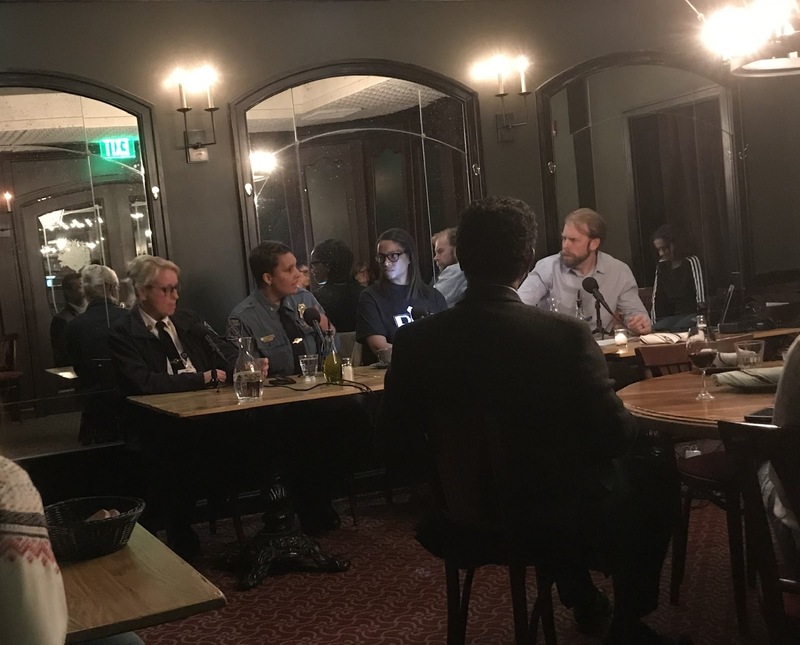 The evening’s guests were the newly appointed Chief of Police and Fire Chief, Lisa Myers and Christine Ulhorn, respectively. I’m not going to get into the nitty gritty of what they said but I do think that we’re all in good hands with these two capable women in public safety leadership roles. The combination of their deep knowledge of their departments combined with a sincere desire to build bridges in all areas of the community impressed me. public good, in particular, the public schools. I discovered this evening that smart phones can have powerful flashes. If you see a picture of me online I will probably look startled. I finally found a good choice on the Lupa menu that suited my appetite and wallet. They have a lovely burger which, when paired with a side arugula salad, hits all the right notes. The salad has a lemony yet sweet dressing which is a lovely contrast to the heartiness of the burger. Now as to the aforementioned gin and tonics. I must relate to you an experience which has happened to me twice recently in two separate establishments. The first drink is fine if a bit weak. I decide I can swing another one and then the second is knock down, drag-out strong. Is this a thing? Is this a ploy to get me to order the second drink? I don’t recall this ever happening before. I’d definitely recommend that you give this particular episode a listen once it’s up and available. Some words to be on the lookout for: cruise, pancake batter, fire helmet, fish tacos, and sixth grade. I stepped in with a bit of Mom Wisdom. She gave me the look of a teenager enduring adult advice. But, guess what, devoted readers? Karma is a comin’ in for Mom this morning. I woke up with that old familiar feeling: I can’t do this. You have to have at least some commitment to the concept of community service. Liking your neighbors helps. If you are getting into it as part of some personal/political advancement scheme (I have seen this and it is painful to witness), people are going to figure that out quickly. Take a look and see if you feel motivated. Oh, if you do? Send some of that extra motivation my way. I might need it tomorrow morning. Newly elected Board of Education member Dr. Chao Wu made no secret of his support for STEM education during the election campaign. (Science, Technology, Engineering, Math.) Yesterday Dr. Wu unwittingly became a prime example of why Humanities education is so important when he chose to share an anonymous post which essentially justified segregation in Howard County Schools. It has since been taken down and replaced with this. Here is the original. What Dr. Wu shared with his readers is essentially a piece that attempts to justify segregation. It provoked concern, anger, and a deep sense of hurt from members of the Howard County Schools community. Only after the damage had been done did Dr. Wu retract the post and state that he had only been trying to start a discussion on the topic. Well, he did start a discussion. Let’s have it. 1. 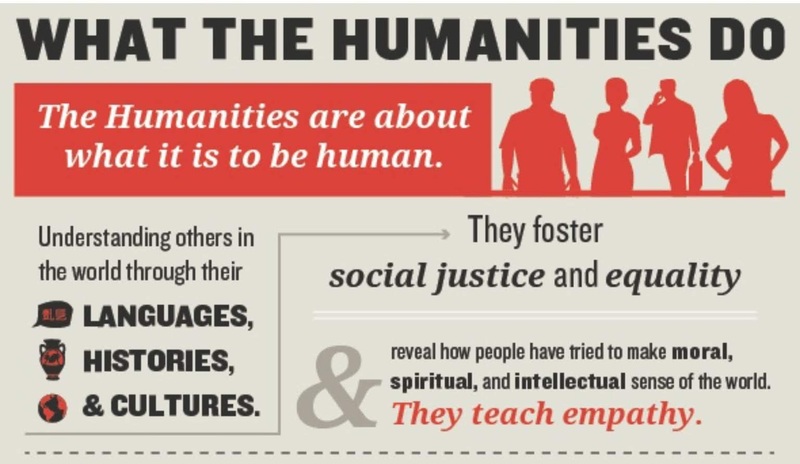 The humanities help us understand others through their languages, histories and cultures. 2. They foster social justice and equality. 3. And they reveal how people have tried to make moral, spiritual and intellectual sense of the world. 4. 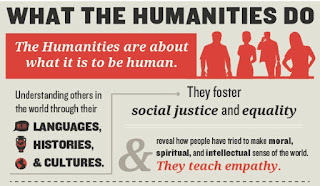 The humanities teach empathy. 5..They teach us to deal critically and logically with subjective, complex, imperfect information. 6..And they teach us to weigh evidence skeptically and consider more than one side of every question. 7. Humanities students build skills in writing and critical reading. 8. The humanities encourage us to think creatively. They teach us to reason about being human and to ask questions about our world. 9. The humanities develop informed and critical citizens. Without the humanities, democracy could not flourish. He published the author’s work anonymously so they wouldn’t have to bear responsibility. He published information that conflicts with HCPSS policy 6010 without acknowledging that. He did not perform the due diligence of checking their “facts” to see if they held up. He didn’t make his intent in sharing it completely clear. 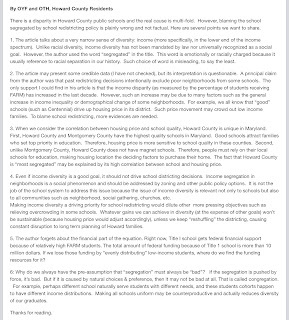 He showed absolutely no awareness of how such a post would negatively impact the community and actively damage hcpss relationships with people of color. Dr. Wu is a member of the Howard County Board of Education. I think it is fair to expect him to interact with the community in a way that shows empathy, weighs evidence skeptically, and helps develop informed and critical citizens. He didn’t do that. While STEM education is a valuable course of study it shouldn’t be seen as more practical and, therefore, more valuable than the Humanities. A quick look at what happened here proves how wrong- headed that would be. Having a bad case of the Mondays. On a Tuesday. Plenty of ideas swirling but none of them will hold still long enough to be written about. Let’s try this on for size: does anyone know the history of the Lark Brown Restaurant Park? It exists in that mythical place I like to call “the other side of town”, so we don’t go there often. At the entrance there is a cluster of permanent “flags” that have such a decidedly dated feel that I have often thought one risks going back in time merely by turning down that road. I Googled them to find a photo, but no luck so far. Unpopular benign opinion: the Lark Brown Flags are a local landmark. We found ourselves looking for a place to eat dinner last night while “on the other side of town” and ended up at TGI Friday’s. It’s at the end of the road. We passed a now-deduct Exxon station, a McDonalds, Olive Garden, Bob Evans, and the ever-popular Royal Taj to get there. It is kind of wonderfully subversive to have a true local mom and pop restaurant in there amongst all the chains. There’s also some kind of apartments or perhaps an extended stay hotel? Back when my daughter was little I used to wish that they’d build a playground in that space, because nothing screams playground more than antsy young children in restaurants. However, playgrounds do not generate revenue so something else was built there instead. This was my first visit to this particular TGI Friday’s and I was stuck by how huge this space is and how few people were there. 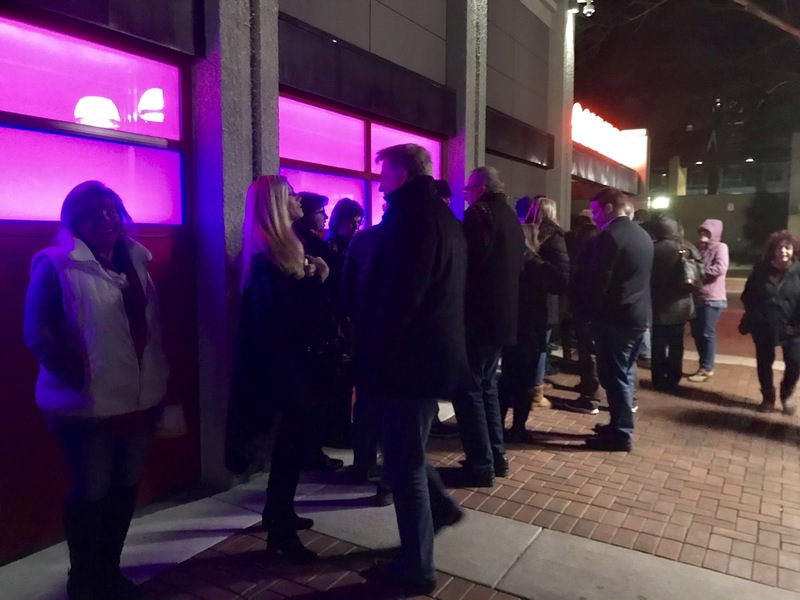 Of course, Monday night isn’t exactly prime dining-out time, but this place seems to have been built with the idea that it was going to be the only restaurant in town. It’s enormous. You could have a blog party and a political announcement event there and still have space for walk-in dining. cathedral to something that didn’t exist anymore. Just like the ever-perky “flags” at the Lark Brown Restaurant Park entrance. Dear readers who have lived here longer than I, please share your knowledge of the Lark Brown Restaurant Park. I’d love to know more. I should’ve taken more pictures. Well, if I had gone with the intent of writing about it, I probably would have. But my motivation for attending the Clarksville Commons Great Chili Cookoff was to support the charity, Grassroots, and to support the folks at Clarksville Commons. They are working really hard to be a community hub and I like that. First off, the event was held in the Porch Room of Food Plenty, which is the Farm to Table/local foods restaurant located upstairs at Clarksville Commons. I had never been there so I enjoyed getting a chance to explore the space. I don’t have a lot of adjectives at my disposal right now to describe it but how about: fresh, calming, simple. Now for the chili. 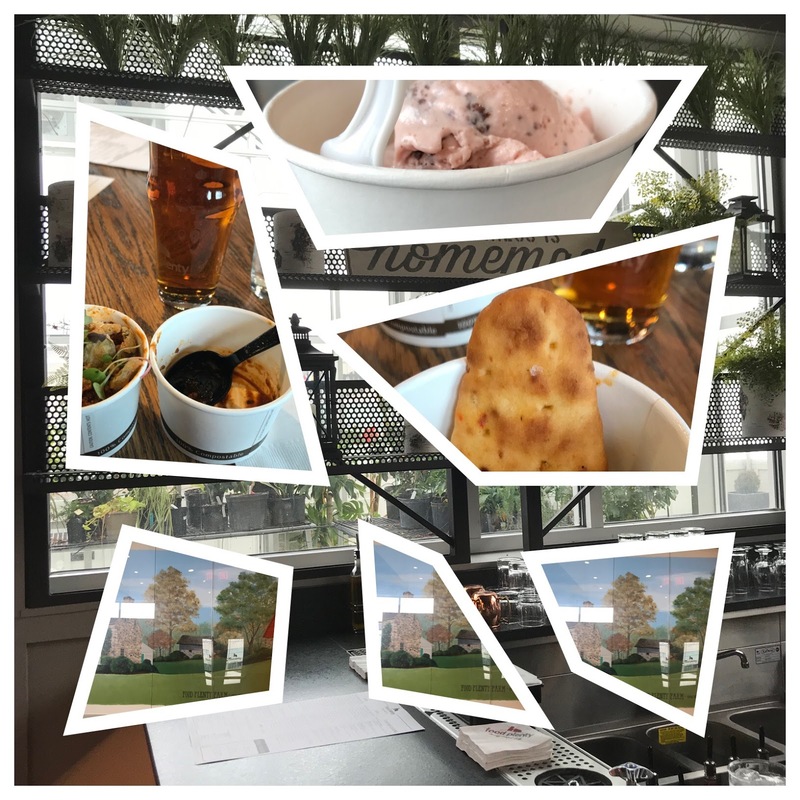 Five of the merchants from the Common Kitchen participated: Great Harvest Bread, Koshary, Namaste Foodie, Scoop & Paddle, and Trifecto. The sixth entrant was event host Food Plenty. My tasting experience was enhanced by the fact that I just happened to be sitting at a table alongside celebrity chili judges Tonya Kennon of the Howard County Library System, and Timothy Banks, Chair of the Culinary and Hospitality Department at Howard Community College. I did not get to meet Ms. Kennon’s lovely dining companion but I can tell you she was rocking an impressive hair bow. My personal favorite was the lentil chili from Koshary. A close second was the Italian Firehouse Chili by Nadine Crisitello of Scoop & Paddle. (Did you know she used to be a personal chef?) The Food Plenty chili was quite fancy with numerous components, different flavor notes and textures. All of the chilis were very tasty and came with special toppings to enhance your tasting pleasure. The Indian-influenced “chili” from Namaste Foodie came with its own adorable individual-sized naan bread. Nice touch. 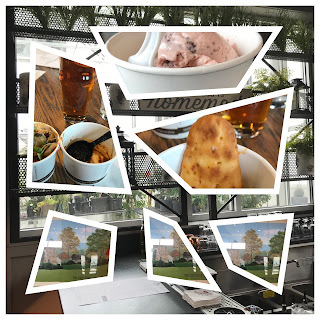 The Duckpin pale ale from Union Brewing Company which I picked up at the bar (along with a large glass of iced water) got me through my spicy samplings. If this post has put you in the mood for 1) community involvement 2) charitable giving or 3) chili, I’d like to invite you to the Great Chili Cookoff at Abiding Savior Lutheran Church. It’s on Saturday, March 2nd and the proceeds will benefit Bridges to Housing Stability. You probably won’t get fancy toppings and I know you won’t be able to buy a beer, but the chili is always great and the Lutherans are welcoming and full of fun. This week County Executive Calvin Ball signed an Executive Order to create an Office of Human Rights Review Committee. One of the recommendations made from my Transition Team is to thoroughly review the operation of the Office of Human Rights and review the existing investigation process. OHR is responsible for administering and enforcing provisions of the Howard County Human Rights Law, investigate complaints and attempts to eliminate violations by conference, conciliation, and persuasion. Therefore, I signed an Executive Order this morning creating an Office of Human Rights Review Committee. This is an opportunity to identify ways we can strengthen the office, so it becomes the gold standard for all local Civil Rights Agencies. 1. Anything Calvin Ball does must be bad, so let me condemn this. 2. omg he used the term Civil Rights. This is an opportunity to identify ways we can strengthen the office, so it becomes the gold standard for all local Civil Rights Agencies. It is clear to me from reading the comments that many folks read this entire statement and came out thinking that the County Executive is changing the Office of Human Rights to the Office Of Civil Rights. I am disheartened that reading comprehension is so poor in Howard County. No such change has been made. A review committee has been appointed to examine the Office Of Human Rights and see if and how we can make it better. That’s it. 2. Human Rights are for everyone and Civil Rights are just for Black people so this move is exclusionary. Aside from the fact that the Executive Order has nothing to do with this, perhaps a bit of Googling is in order here. rights, in which people acquire rights inherently, perhaps from God or nature, civil rights must be given and guaranteed by the power of the state. Human rights, rights that belong to an individual or group of individuals simply for being human, or as a consequence of inherent human vulnerability, or because they are requisite to the possibility of a just society. Here is where it gets interesting. In Maryland the state and county agencies are called Human Rights agencies, but they are partner agencies of the EEOC to enforce civil rights. At the Federal level they are called Civil Rights offices. So, no matter what our friends the commenters think, in Maryland the two terms mean the same thing. I’m not quite sure how to respond to people who are angry about something the County Executive said that he didn’t actually say, something he did that he didn’t actually do, compounded by not understanding the definitions of human rights and civil rights. I mean, where do you start? Do me a favor. If you hear any of this sort of talk around the proverbial water cooler, set folks straight, won’t you? As promised, I’m returning to the subject of teens and voting. I got some thought-provoking feedback after “Minors Go Major?” last week. More than one respondent pointed to the activism of young people following the shooting at Marjory Stoneman Douglas High School in Parkand, Florida. It is certainly true that we saw teens motivated, educated, active, and involved in the election process over the last year. Some pointed out that many folks over the age of 18 are woefully uninformed about candidates and issues yet we do not use this as a reason to prevent them from voting. Everyone agreed that America could do a much better job educating children, teens, and adults about the political process, how our government works, and a citizen’s responsibility to vote. Several people tactfully pointed out that the areas of concern I raised about sixteen year olds voting have been used in the past a barriers for the right to vote for the disabled, African Americans, and women. That certainly gives me pause. Let’s look at some of the age demarcations that bestow certain rights and/or responsibilities. If we say a young woman of 16 is not able to freely consent to get married, then must we also say that she is not able to make her own decision about birth control and whether or not to terminate a pregnancy? You may say that those two are not comparable, but it’s that tricky concept of capability and consent. How old is old enough? Who gets to be empowered? Who is protected? And why do we make the decisions we do about who gets to be empowered or protected? It’s complicated. And you thought we were talking about sixteen year olds getting to vote. I seem to have a lot of things on the back burner right now. Maybe they’ll all come to fruition over the weekend. Can competition lower gas prices in Columbia? Is a bag tax the end of the world in Howard County? Everyone I know is in the news. What’s up with that? If you’d like to read something more coherent today I recommend this Valentine’s Day post by HoCoBlogger Mike in ThrewMikesEyEz. Lots to think about and his photos always make me smile. The weather pattern that brought snow and ice across Maryland this week is forecast to resume this weekend, bringing light snow and likely some slush around the region. Me: Why don’t we talk about Summer Reading? I asked Christie Lassen from the Howard County Library about the annual summer reading program. Summer Reading helps stop "summer slide," the tendency for students, especially those from low-income families, to lose some of the achievement gains they made during the previous school year. Howard County Library System's free summer reading program encourages kids, teens, and adults to read over the summer by offering prizes for reading any types of materials (e.g., books, magazines, news articles) and/or completing various types of activities. This year's theme relates to space (an especially great tie-in to this year's Evening in the Stacks Otherworldly theme), and our staff is planning a fun and educational space-related line up of classes and events throughout the summer. Watch hclibrary.org later in the spring for news about the summer reading kickoff on June 1. As I recall there’s a grownup component as well. Why should kids have all the fun? Right now seems like a good time to imagine warm weather, trips to the pool, hearing the sound of the ice cream truck, and delving into a pile of great books. Want to support Summer Reading? 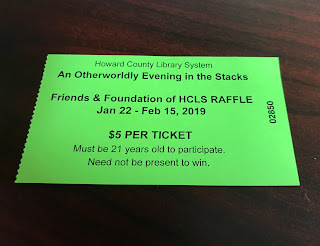 Buy tickets to Evening in the Stacks, buy raffle tickets, or join the Library’s Friends organization. 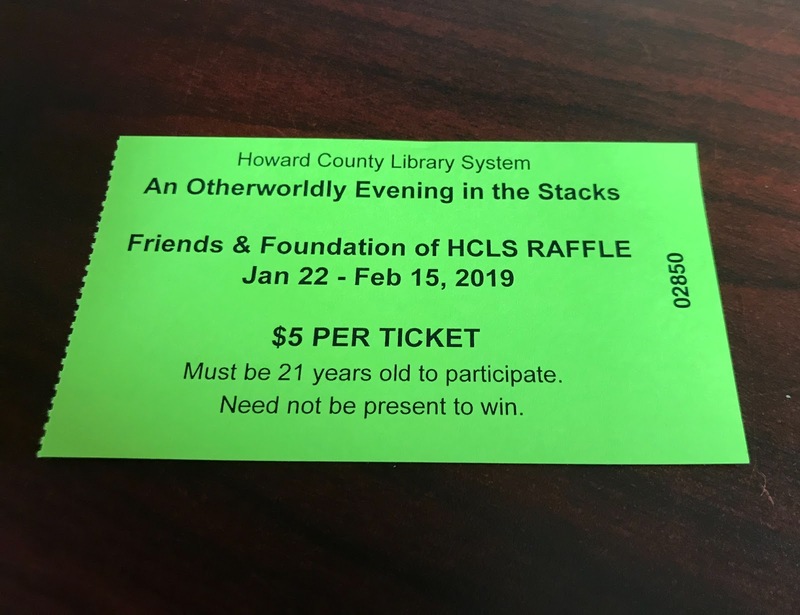 Plus, if you join the Friends and make a donation before February 15th, you’ll be entered to win two tickets to Evening in the Stacks! More Winter weather may be on the way but we can still think Summer if we want to. It looks like the Maryland General Assembly just may return the control of school calendars to local jurisdictions. I am in favor of this move, to put it mildly. I will not go over my reasoning point by point today. We’ve been there, and done that. There is just one thing. (Cue Columbo in the doorway.) The biggest reason I have seen for starting school after Labor Day is “We did it that way when I was young.” I have now officially reached my limit with that argument. Girls were required to wear skirts or dresses to school regardless of the weather. Airplanes caused “sonic booms” over residential areas. Women smoked cigarettes and drank alcohol while pregnant. Women could get fired for being pregnant. One could be fired/arrested for being gay. Women couldn’t get credit in their own names. Lead paint was legal and widely used. The Buddy Deane Show was segregated. Fatalities from car crashes were increasing towards an all-time high. Please, oh please do not tell me that starting school after Labor Day is the right choice because “those were the days.” Some of those days were not as sunny as they seem to be in the nostalgic haze people keep them in. Or maybe they were sunny for you, but not for others. If you want to sell me on a change that will have an impact on students, parents, and teachers statewide then tell me this: how does this change enhance student learning and well-being? How does it show understanding of parent/family needs? How does it support teachers as they strive to do their best for their students? Your childhood and mine, for that matter, aren’t all that relevant here. It’s 2019 and we need to be making 21st century choices that put today’s children at the center. Rant over. And tomorrow’s post will be cheerier, I promise. I’m way behind in listening to my favorite local podcast, “Elevate Maryland”. I’m only about a third of the way in to the episode featuring my new Council representative Opel Jones. And there’s still this week’s episode with Council member Christiana Rigby to delve into. Ah, weekend. I intend to do some catching up in the listening department. An issue that Jones raised that surprised me was a goal to lower the voting age to 16. He cited the interest and activism of local teens in his reasoning to change the law. Maybe I’m just an old fogey, but I don’t agree. I think sixteen year olds are still in a position to be so heavily influenced by their parents vote as to compromise the independence of their choices. When we think about how minors are in a position to be abused by those in a greater position of power, it is the difference in age and status that puts the young person at risk. I’m inclined to believe that this puts a teen voter at risk, as well. Does granting sixteen year olds the vote essentially give their parents/guardians an additional vote? Perhaps not always. But, in many cases, I think it would. Of course I believe that teens have their own ideas and are capable of doing research and getting involved in the political process. I’d love to see Council Member Jones push for expanded civics education in our schools from middle school onwards. There’s a good deal more we could be doing to prepare our young people to be involved and educated voters. Honoring them by making voter education a priority would have a more comprehensive long term effect than granting teens the vote. I just want to sleep. My alarm went off at five am, as it always does, and I just want to sleep. I’m already pausing between sentences to close my eyes. “I don’t really have to write,” that little voice inside my head tells me. I could take a day off. I could run an old post. My eyes close again. On January 31st, five members of Start School Later Howard County testified at the Budget Hearing to ask for the necessary transportation money to ensure healthy, safe, and age-appropriate school hours for ALL Howard County Students. If the BOE doesn't ask for transportation money, neither the County executive, nor the County Council can fund improving school hours. 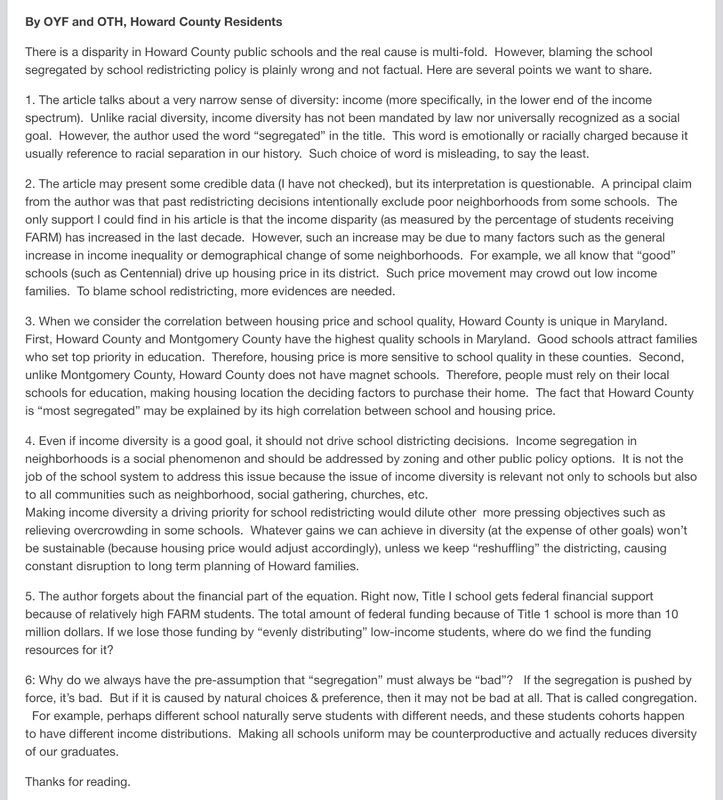 Please email the board at BOE@HCPSS.ORG to add your voice to the discussion. If you agree that our students deserve safe and humane school hours, you can write them and urge them to include funding for the necessary transportation in their budget. The public is able to submit written testimony until 4:30 p.m. on Friday, February 8, 2019, at BOE@HCPSS.ORG. I wrote about this two years ago in “Minutiae”. Early school start times and the resulting sleep deprivation are linked to chronic tardiness, discipline problems, more motor vehicle crashes, obesity, depression, illicit drug use, lower academic outcomes, and a lower over-all quality of life. Study after study shows that no one should be starting school before 8:00, and that most teens do better with an 8:30 start time. We say we would do anything for our kids. We love them. But then we wonder if getting up at an ungodly hour is just one of the rite-of-passage things we need to let them go through. The science on this issue is clear. We need to align our priorities with the needs of our kids. If you agree, send the BOE a note. And now I’m going to close my eyes for two minutes before I I have to wake my family. I don’t always write blog posts. Sometimes I write letters. This one went out last night to all the members of the Howard County Delegation. My name is Julia McCready and I live in Columbia, Maryland in District 13. I am asking you to support Howard County Bond Request 05-19 for $250,000 towards the Butterfly Guest Services Building and Visual Arts Museum. I support the Inner Arbor Trust developing Merriweather Park at Symphony Woods into a center for arts and culture. I have advocated for Merriweather Park at Symphony Woods since the beginning of the Inner Arbor Plan. I have written letters, blog posts, and appeared at public meetings over and over again to support the creation of an arts and culture park in the heart of Columbia/Howard County. I have attended a variety of events in the Park, and I volunteer my time in the summer to present dance parties for young children on the Chrysalis Stage. I’m a parent, a teacher, a community activist, and a supporter of the arts. People should not have to leave town to experience the arts. We have a responsibility to our community to fulfill the Inner Arbor’s promise as an arts park for all our citizens. Some, like the medically fragile young girl who came out to dance accompanied by her service dog, and the special needs adult in a wheelchair with her companion, may not always be welcomed or accommodated in traditional arts environments. But they were more than welcome to be themselves in the Park this past summer. Merriweather Park at Symphony Woods is more than the Chrysalis. The Trust has raised money for and is building a pathway network, and is working on the Butterfly Building - with much-needed bathrooms as well as visual arts space. Howard County deserves this type of amenity and regional attraction. Supporting this bond request supports the arts, but it also supports businesses in Downtown Columbia as the Park is an attraction to keep people coming to Downtown Columbia. Please vote yes for this $250,000 bond bill to help the Trust continue to bring arts to Downtown Columbia. I hear that the vote will be this morning. I’m hoping for the best for our community. Think some good thoughts, won’t you?